We found Ambalama to be a very flexible beach villa, suitable for families, groups of friends and even decadent couples. It is spacious enough to host larger groups and its sociable layout maximises party potential (as does the iPod docking station and Bose sound system). Each bedroom is similarly sized which saves arguments about who sleeps where (although the bedrooms to the far sides of the villa perhaps offer the most privacy and are a little more special with their tropical outdoor showers). There is plenty of space inside the villa and outside on the pool terrace for dining, and every meal is an occasion, reflecting chef Roshan’s five star hotel training in a wide range of delicious fusion cuisine. Ingredients (on guest account) are bought fresh from the market each day. The staff at Ambalama are proficient and present service with a smile; offering to unpack our suitcase on arrival and serving us chilled G&Ts on the pool terrace overlooking the sea at sunset. A pair of non-resident managers drop by to welcome guests and make sure they have everything they require, and are on call if advice is needed about where to eat out, or to help with any travel arrangements (Roshan doubles up as an in-house manager and can also assist with most guest queries). Whilst there isn’t a TV or DVD player at the villa, these can be organised with prior arrangement – although it’s probably best to bring your own DVDs with you, as well as childrens’ games if needs be. Whilst the narrow beach outside Ambalama isn’t great for swimming, you only have to walk five minutes to the nearest swimming beach. 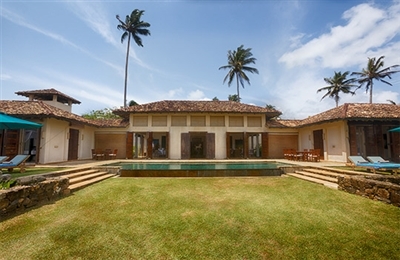 That said, there are few villas on the Galle coast better located than Ambalama; beaches, restaurants, shops and attractions are all within a short walk or drive. As one of the closest beach villas to Galle, this fantastic property is not only relaxing, comfortable and private, it’s also conveniently located for beaches, restaurants, bars and shops; some within walking distance. With an experienced chef and a delightful menu of fusion cuisine, Ambalama will appeal to those who appreciate excellent food without hotel prices. Since the villa is located beside the main road, you will hear traffic noise. The constant sea breezes, whilst welcome and cooling, have weathered the property a little in places. Also take care when the floors are wet as they can get slippery. We really couldn't have wished for a more enjoyable holiday. We loved the style and lay out of the villa which was perfect for a group of friends, plus bedrooms are all of equal size and ocean facing so no one missed out waking up to that amazing view. Roshan's cooking was superb, especially the Sri Lankan curry! We also joined him on his trip to the markets one day which was really interesting. Hema and Chundra looked after us very well, Chundra's smile is so warm and welcoming and Hema's good English and knowledge of the area made it very easy for us to plan trips to Jungle Beach, the silk factory, Unawatuna and Galle Fort. If you like playing games on the lawn, the very sweet and polite young boys who live next door love to join in the fun and are very good at cricket! Make sure you ask the night watchman to wake you up if you are interested in seeing turtles. We were very lucky to see an enormous leather back turtle (approximately 100 years old!) lay her eggs right outside the villa wall! We all felt very spoilt, relaxed and well looked after! based on 2 user reviews. 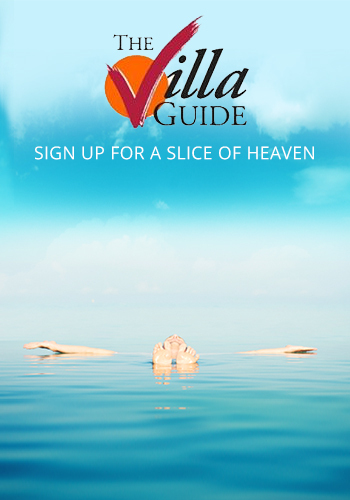 We found Ambalama to be a very flexible beach villa, suitable for families, groups of friends and even decadent couples. It is spacious enough to host larger groups and its sociable layout maximises party potential (as does the iPod docking station and Bose sound system). 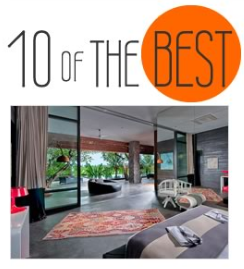 Each bedroom is similarly sized which saves arguments about who sleeps where (although the bedrooms to the far sides of the villa perhaps offer the most privacy and are a little more special with their tropical outdoor showers). There is plenty of space inside the villa and outside on the pool terrace for dining, and every meal is an occasion, reflecting chef Roshan’s five star hotel training in a wide range of delicious fusion cuisine. Ingredients (on guest account) are bought fresh from the market each day.